Here's an arrangement that's just right for a lady in your life. 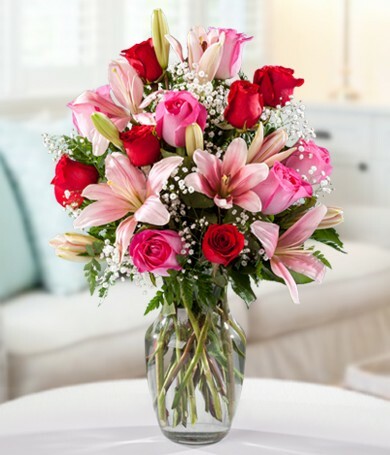 Ten feminine red and pink roses and three pink lilies are ideal for your mom, your sister, your sweetheart or any lady you choose. 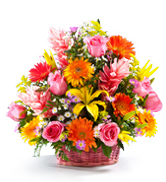 Sweet-smelling blossoms in a pretty vase make a great gift for birthdays, to say thank you or just because you care. 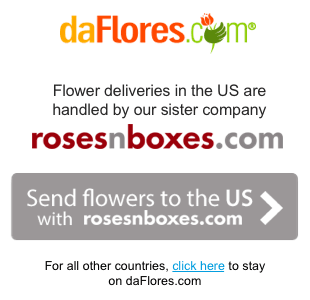 She'll be delighted with our Flowers for a Lady!